creativelittlebird | Getting it right on the second try, so you can on the first. Summer-like weather is finally here! Hooray! 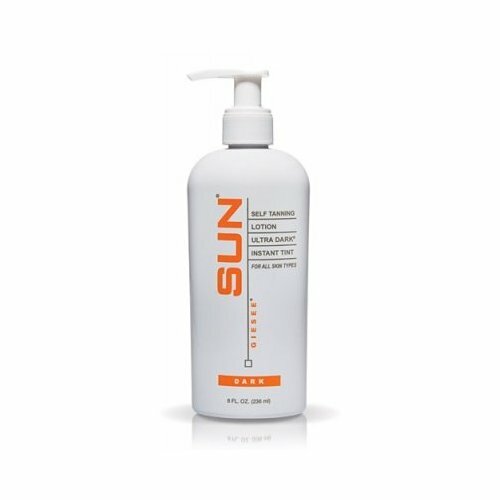 Because everyone is wanting to get a bronzed bod back, I’ve been getting so many questions about my little safe tanning secret, Sun Labs Tanning Lotion. To avoid answering the same questions several times, I just decided to write this Q & A post. I have been using Sun Labs Instant Tint Lotion for about a year now and anyone who knows me will say I’ve basically been the brand’s spokesperson for the year. Haha! I am constantly recommending it to everyone! 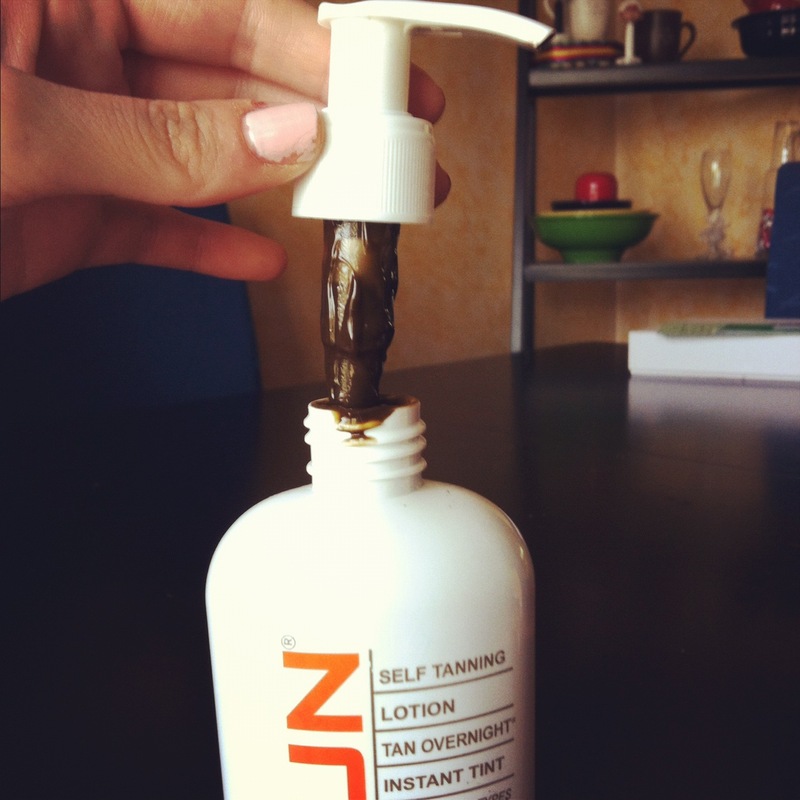 It is such a great product, and I have been anti-tanning bed ever since. I know the color seems scary but you just gotta go for it! :) When you pump it onto your skin, just keep rubbing it in. It will even out. –By the way, I’m not some sunless tanning guru. I just love this product and get questions about it all the time. I always buy from Amazon. I’ve had really good luck with the stores there and shipping is always super fast. When buying from Amazon, or any other store, you really have to take the time to make sure you’re getting the product you’re looking for. 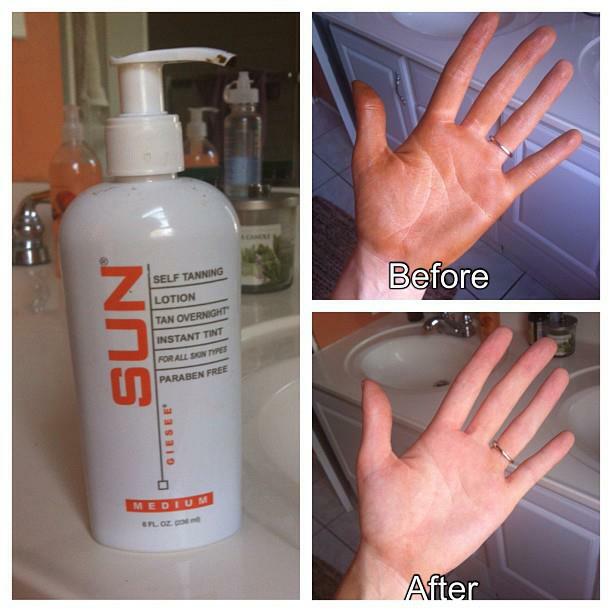 SunLabs has several different products. The three most popular are: the exfoliate, the tanning lotion, and the maintainer. The exfoliate is pretty much the same as any sugar or salt scrub that you probably already have lying around the house from 3 Christmases ago. The purpose of this step is to remove any dead skin so that when the color is applied, it will look as even as possible. The maintainer is a product that is meant for using between lotion applications to keep the color looking fresh. I’ve found that the gradual tanners are a good replacement for the maintainer. Sometimes I don’t even use a tinted lotion in between applications but it definitely helps your color stick around longer. I don’t spend the extra money on the exfoliate or the maintainer. This varies for me, as it will for everyone else. There is no specific time when someone should or shouldn’t apply it. Basically, I apply it when I feel pale. Most of the time that ends up being once every week/week and a half. In the summer, when I’m more likely to be in a pool or lake, I will have to use SunLabs more often like once a week. And sometimes I just use it on my hands or my feet. Again, this just depends on preference. I put it on just like I would any lotion. You have to be careful though around areas that tend to be dry (elbows, knees, inside of wrists, etc.) You will learn how to apply it in a way that looks most natural, and even when it doesn’t look perfect, it’s not really that noticeable. Do you put it on your face? Yes, I do. However, I apply much less than anywhere else. It doesn’t take much, and remember you can always add more. Do you use gloves to apply it? Sometimes I do, sometimes I don’t. I think the color holds longer and just looks better when I don’t use gloves but that obviously leaves a brown mess on my hands. If you have the time to clean your hands off properly (which I’ll get to in a minute), it’s absolutely worth it to not use gloves. Times when I’m in a hurry, I use gloves. It does the job but I feel like the lotion just doesn’t stay as long. How do you get the color off of your hands? Don’t knock this method until you try it because as you can see in the photo, this is like magic. After applying SunLabs to my whole body without gloves, my palms look pretty bad. I like the tops of my hands to be tan but no body likes orange palms. The solution is to take a dark washcloth, wet half of it, and on the wet side, place a little bit of hand soap and a little bit of whitening toothpaste. Fold the washcloth so the two mix a bit and begin scrubbing your palms. You can quickly see the lotion coming off of your palms. You may have to add more soap or toothpaste to clean them completely and don’t forget to scrub between your fingers! Does it wear off blotchy? I know the color in the bottle is scary but you just have to go for it. I can’t say I guarantee you’ll love it because everyone is different but chances are if you love being tan, you’ll love this product. If you’re really scared of the color, just try it on your legs first. Keep in mind that the color continues to darken for about 4 hours. I normally buy DARK. The last time I ordered, I guess I accidentally got MEDIUM (shown in photo). Also, props to the brand for sending product to a bunch of YouTube beauty gurus for review. Great way to get your product recognized. I hope this helps answer some of your questions/concerns. If I forgot anything let me know in the comments below. They always say, “the way to a man’s heart is through food” and one of the most attractive things to a guy is his lady cooking tasty treats for him. Skip the drugstore candy this year and give your man these rosy red, over-the-top delicious, perfect-for-Valentine’s Day-cupcakes! If Valentine’s Day were a cupcake, it would be Strawberry and Red Velvet cake swirled with a Raspberry Cream Cheese frosting. I know… just wait until you taste it! These flavor combinations are insane so don’t be surprised when people ask you to bake these again. I’m not that fancy, definitely not as fancy as Jamie from the Bachelor (I had to… Any Bachelor fans out there? Haha! ), so I bought 2 boxed cake mixes, Red Velvet and Strawberry. Mix those up separately according to the box and layer them into your Valentine’s Day themed cupcake liners. 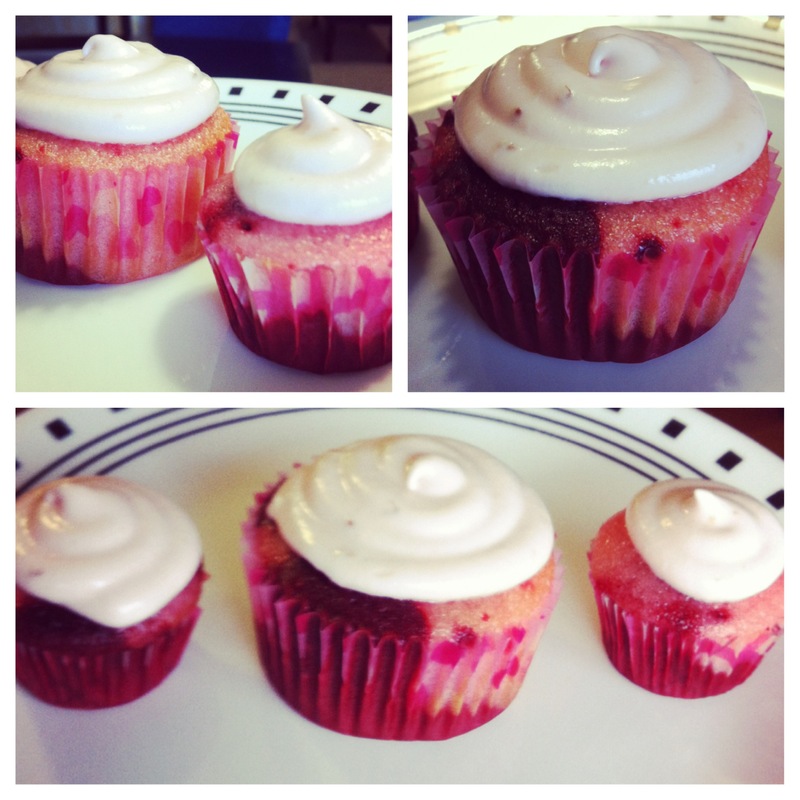 You will be using the same method as the Tie Dye cupcakes, alternating flavors. Blend the butter and cream cheese first then add the powdered sugar a little bit at a time and then your vanilla. To add the raspberry flavor, I added about 1/3 cup of raspberry preserves. After adding the raspberry, the frosting thinned out a bit so I added more powdered sugar until it was thick again. Don’t worry about it taking away from the cream cheese flavor, it didn’t. When they’ve cooled, pipe on your frosting and Viola! Valentine’s Day in a cupcake! Be prepared for your man and all your friends to ask you to bake them again! They quickly became a new favorite at my house! I hope everyone’s Valentine’s Day is filled with plenty of love! Let me know on Twitter how they turn out! 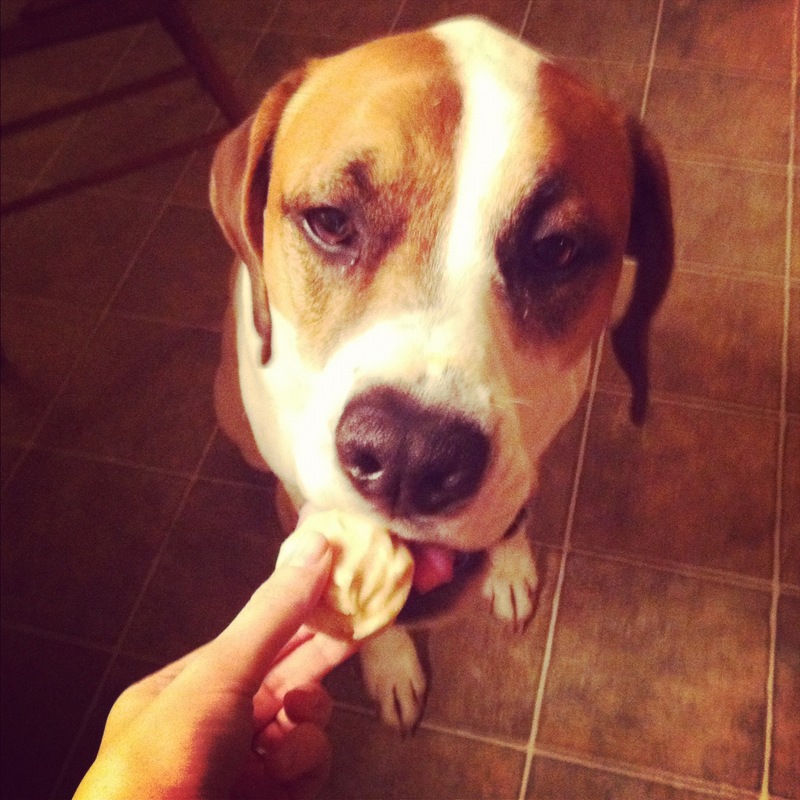 Most dog treat recipes call for odd ingredients, like dry milk, that you typically would have to go out and get. 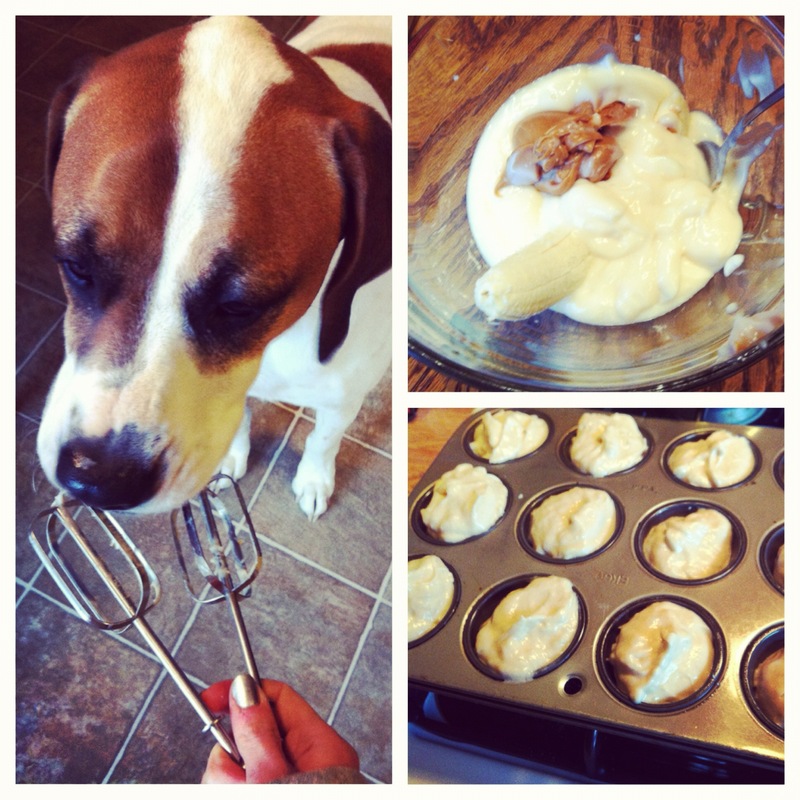 That’s one thing I love about these treats — the ingredients are ones that I usually have in my house all the time! I’m going to be making more treats this week for Alf’s birthday on Friday so stay tuned and follow me on Twitter (@chelsrose) for new posts! 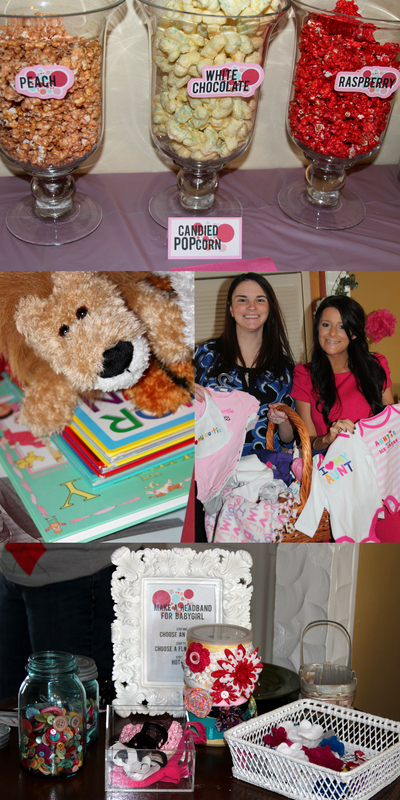 Last weekend was baby shower time as my first niece’s arrival is quickly approaching :) I decided to go with the fun “Ready To POP” theme and it ended up being a huge success! 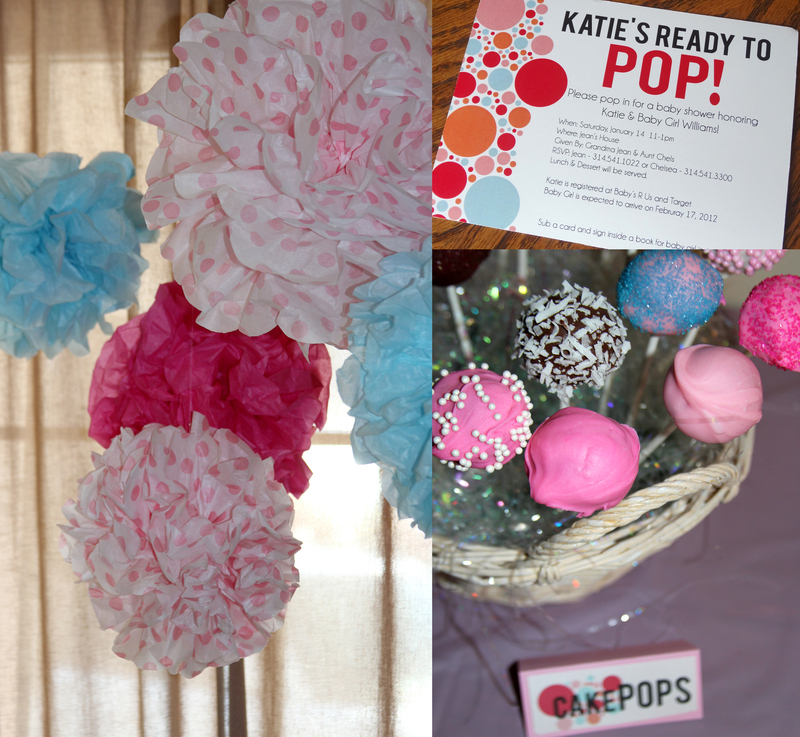 Everyone seemed to love the tissue paper poms, which are so easy, but I think I’ll do a tutorial anyways. It’s really just a fan fold of stacked tissue paper, a twist tie in the middle and pulling each piece out separately. The cake pops were an adventure to say the least haha! My Mom bought me a cake pop maker for Christmas and we were very smart to do a test run 2 weeks ago which I highly recommend! It was so worth it to get a rhythm down and work out the kinks before it’s the night before the party, and for a non-professional, I feel like they turned out pretty great! We wanted to continue with the POP theme and make some homemade candied popcorn! I found a recipe that uses sweetened condensed milk and JELL-O and we used that for the raspberry and peach. The white chocolate is a separate recipe which I will do a tutorial on, it’s one of those that you just can’t stop eating… so yummy! 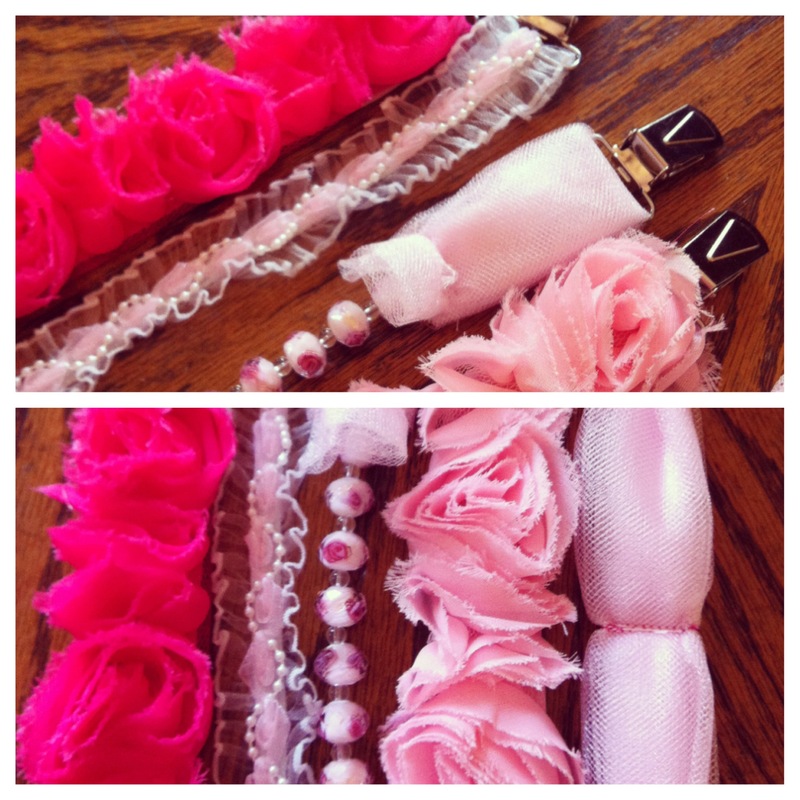 I also set up a headband making station for guest to create their own headband for Baby Girl to wear :). I bought all the different plain headbands from Hobby Lobby but most of the flowers were made from felt, printed fabric, or out of old t-shirts. I also bought a couple flowers from craft stores and I found that hair flowers/bows from Forever 21 worked great also! They’re only $2.50 for a 2 pack! 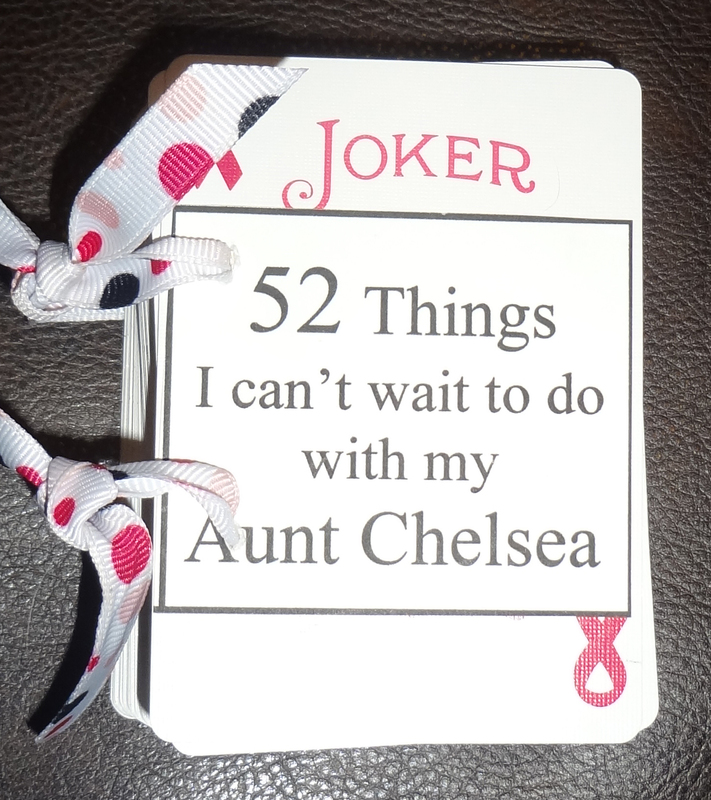 I need to throw another shower in March for niece #2 who’s on the way! If you have other ideas for cute baby girl themes let me know on twitter! Keep an open mind with this one guys! This was a childhood favorite of my siblings and I, and everyone thought we were so weird! 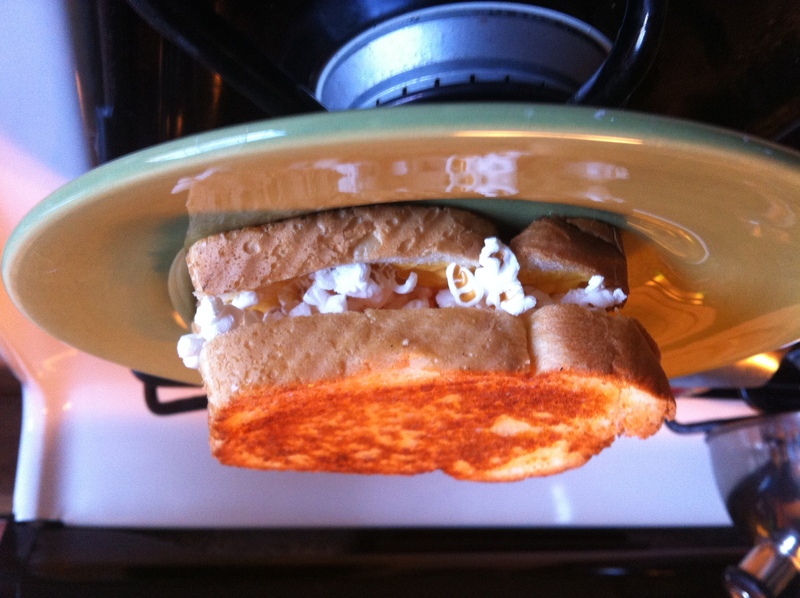 Popcorn inside your grilled cheese… I promise if you try it, you’ll be hooked! 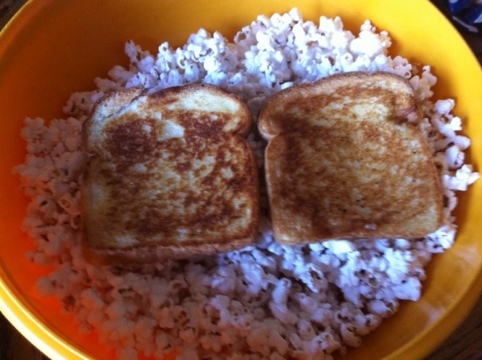 It’s so simple, immediately after your grilled cheese comes off the pan, pull the 2 pieces of bread apart and put them (cheese side down) into a bowl of popcorn. Then, reassemble your sandwich and enjoy! Mmm mmm mmm.. Soooo good! It’s time for New Years celebrations and nothing says New Years Eve like champagne! 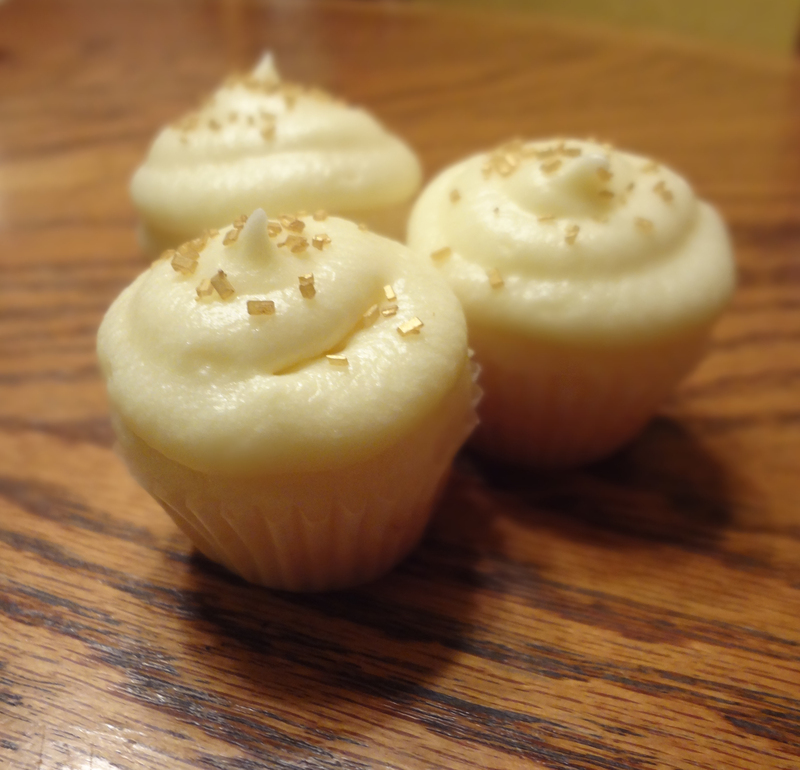 I’m not playing hostess this year but I’m making these champagne cupcake treats to take along and share. I’ve made these cupcakes regular size before but I thought the minis would be more party-appropriate plus I’ll get much more out of one batter. The recipe, shout out to my baking buddy Miss Betty Crocker ;), isn’t too different than the standard cake batter box directions. You’re just subbing the water for champagne! You know the rest; mix together batter and pour into (preferably cute and festive) mini cupcake liners. I didn’t have time to find cute ones so I guess these plain white liners will be good enough :/. Bake at directed temperature but I checked mine after half of the recommended time and just pulled them when my toothpick came out clean. Top with your champagne frosting and some sparkle for garnish! I found this gorgeous DIY decor piece from Delightfully Noted, great blog full of adorable decor tutorials! I thought this project would be a breeze but I ran into a few, frustrated, speed bumps. Lucky for you, I’ve just made all the possible mistakes so I can tell you what NOT to do and how to do it RIGHT! Don’t let that scare you away from doing this project though, I think the end result is well worth it! 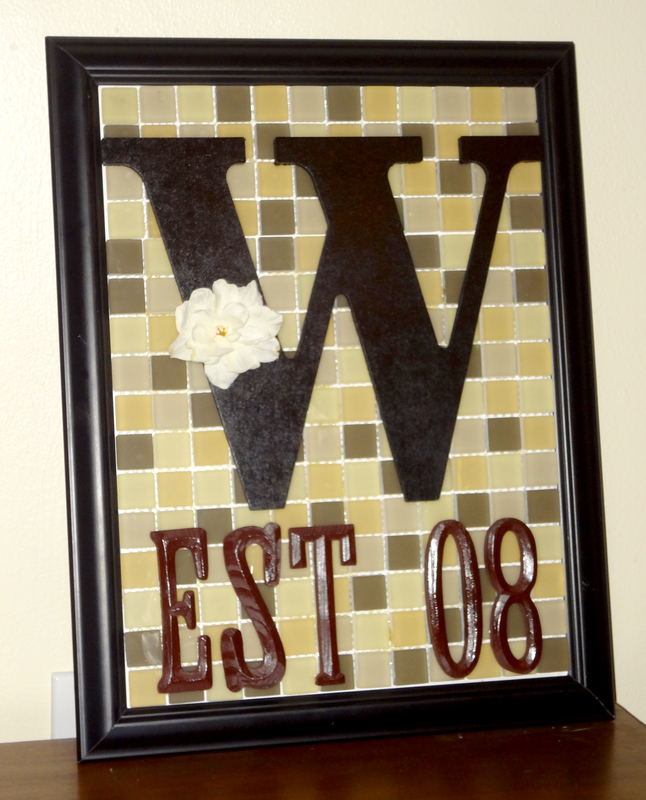 I started by going to Hobby Lobby to buy the “W” initial and a black frame that was bigger than or the same size as the width of the letter. Then I found backsplash tiles at a local hardware store but you can find these at Lowes or Home Depot also. I had to get 2 sheets to fill my 12×18 frame. I used black spray paint for the letter and a dark brown for the smaller letters/numbers. I’m not sure if it’s just my location… but it took me FOREVER to find those smaller wooden letters. –I feel like every craft store’s small letters are so childish looking :/– Anyways… I found them at Michael’s so go there and avoid searching store to store like me :). Here is my MOST IMPORTANT TIP: After you take the glass out of the frame, measure a piece of white card stock or cardboard and cut to fit in the frame. (Use white so it blends in with the tile netting) Put it back together with the cardboard and frame backing, that way you can adhere the tiles from the front. Does that make sense? I tried to place the tiles into the frame after I attached them to the cardboard (like you would place a photo) and it was extremely difficult to get them in place and attach the backing. How you adhere the tiles is your call… Jennifer from Delightfully Noted said she used hot glue but I thought my tiles were too heavy for hot glue to hold. I used a ceramic bond but it wasn’t clear so I wasn’t too happy with how that looked. In hindsight I think I should’ve used liquid nails or something. Finishing is the easy part, hot glue your spray painted letters to the tiles and to add a little extra embellishment I added a little flower. I’m happy with the way it turned out and I’m so excited to give my sister-in-law this gift! Looking for a faster gift? 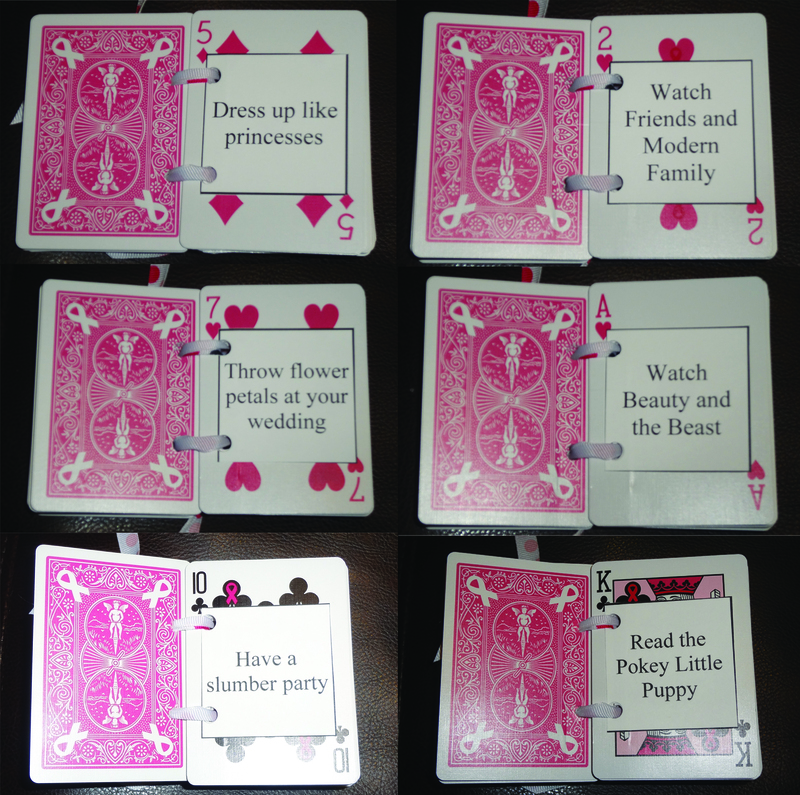 Always a favorite to give to parents, grandparents, or married friends and so quick and easy! 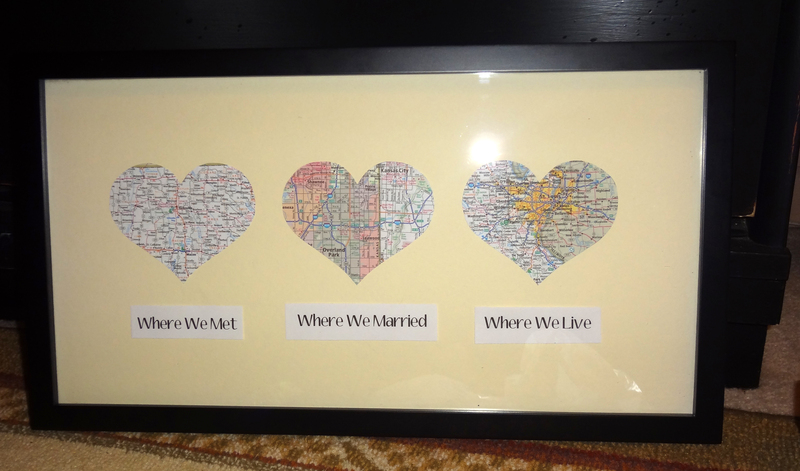 I bought a map at Wal Mart and used a stencil to cut out the hearts. I found the frame at Hobby Lobby and used some extra matte I had from past projects. For the words I just printed them from Word, adhere and wa-la! Personal, thoughtful, one of a kind decor for your giftee! 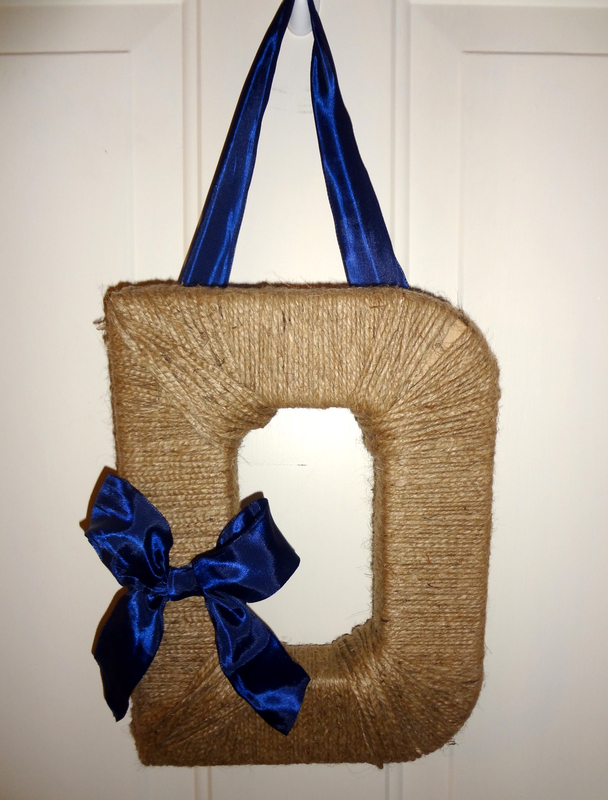 Joann’s has great letters of all sizes to choose from and you can find twine at any craft store or Wal Mart. The actual wrapping part does take awhile but it’s something you can easily do while watching a Christmas movie :) I secured my twine every few wraps with hot glue. To add extra embellishment at the end, I just tied a ribbon bow and used that for the hangar as well! Boom! Another gift, done! A wreath is always a safe gift (for a woman) because she can always use it. 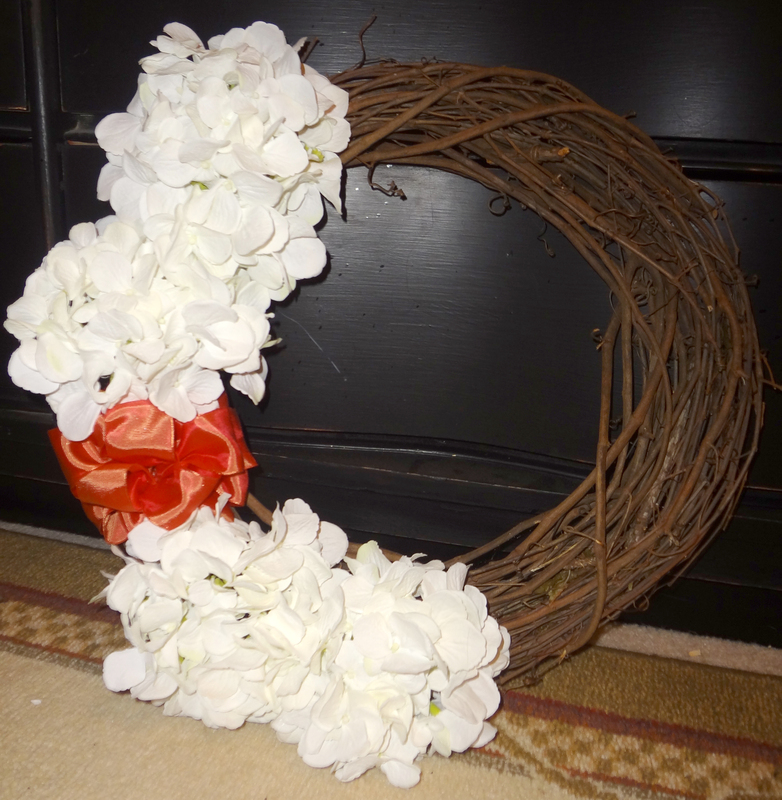 I decided to make a season neutral wreath so she can use it off and on throughout the year. This is a one stop shop-gift. I bought the wreath, ribbon and flowers all at Hobby Lobby. 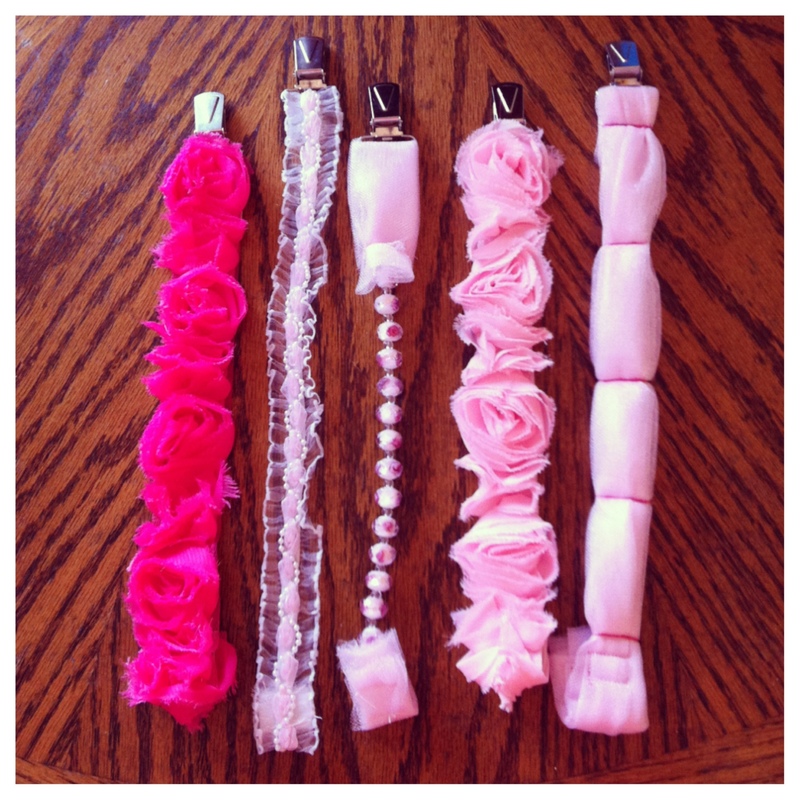 All it takes is a little hot glue and ribbon tying and you got a great gift! 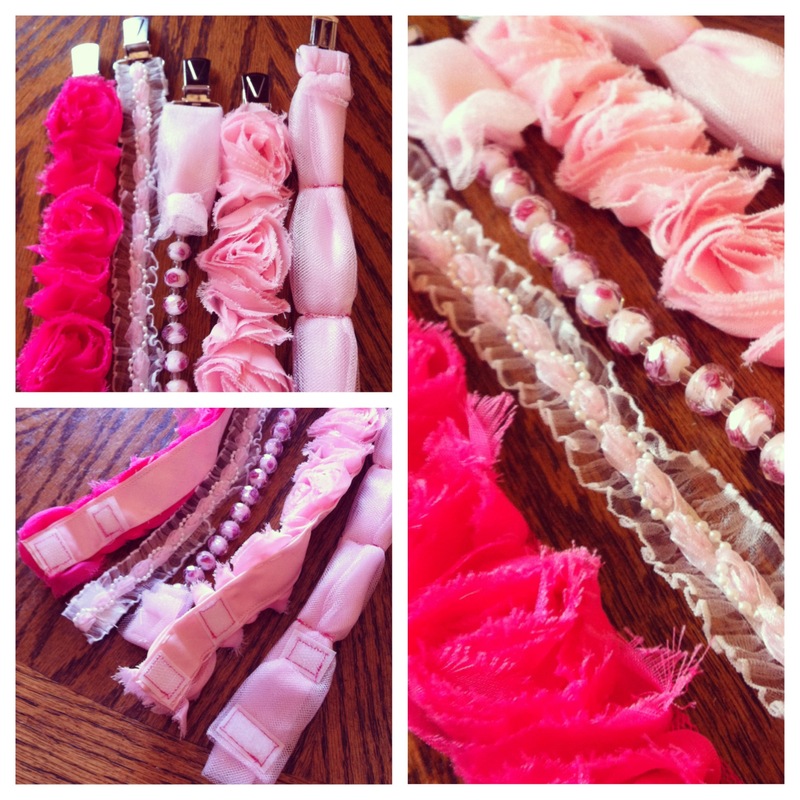 The options are endless when it comes to ribbons, flowers, or other decorative garland! Alright procrastinators, I hope this helped! Good luck with your last minute gifting and let me know what you put together! As I’m sure it is in most homes, it’s a tradition every year since I was a little girl to cut and decorate cookies from “Grandma’s Sugar Cookie” recipe! I wanted to share my family recipe incase you don’t already have a good one so you can go on to start a holiday tradition with your friends or family! 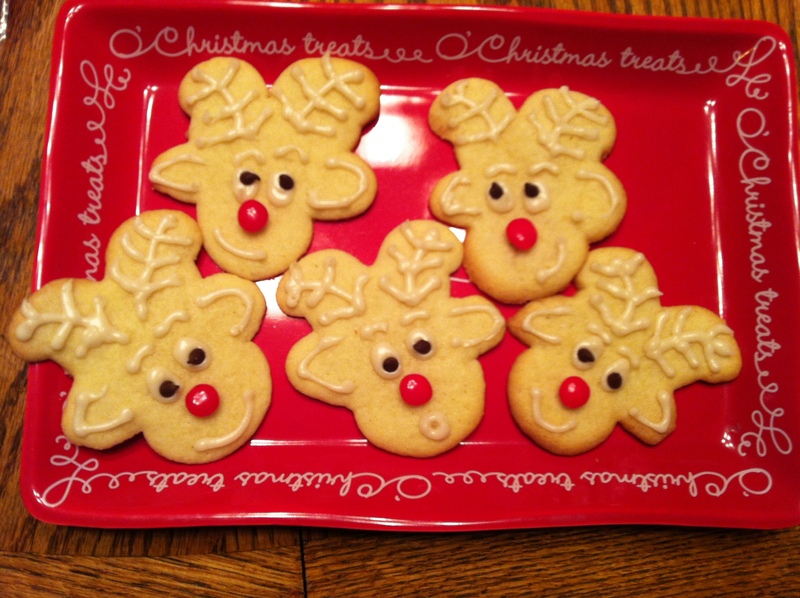 I made some last night and I tried a new take on the gingerbread man cutout this year and made adorable little Rudolphs! These are so fun and easy to make, especially with the little ones! :) I waited until they cooled completely so my icing wouldn’t melt, and flipped my gingerbread man upside down. Then I drew on antlers, ears, the mouth and eyes! I squeezed a dot of icing to adhere Rudolph’s red hot nose… I wanted to use red hots instead of red icing so his nose would be bright and shiny! :) (yes, I am 21 years old) Ha ha! You can use black icing dye for the eyes but I didn’t have any so I used mini chocolate chips instead and they worked great! First, cream together crisco and sugar. Sift together all of your other dry ingredients in a separate bowl to add later. Add your egg, milk and vanilla to your crisco-sugar mixture. Then add the dry ingredient mixture. Chill in the refrigerator before you roll them out to cut. Then get creative!